Whether or not he's guilty, it's undeniably been a rough week for Tim Lambesis, frontman of Christian metalcore outfit As I Lay Dying. After all, he was arrested for allegedly trying to hire an undercover detective to murder his estranged wife. Yesterday (May 9), he appeared before a courtroom. MTV reports that Lambesis pleaded not guilty to a charge of solicitation of murder. His lawyer disputed claims that Lambesis was trying to have his estranged wife Meggan Lambesis killed, calling the whole thing a "scumbag snitch setup." Prosecutors, on the other hand, allege that Lambesis gave cash to an undercover detective as payment for the would-be hit. He is also said to have given him photos of his wife, the gate code to her residence and the date he wanted her killed. He reportedly planned to set it up at a time when he was with their three adopted children so that he'd have an alibi. 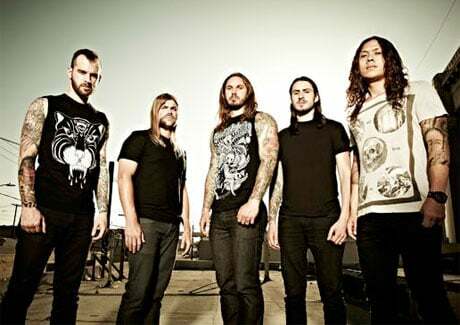 Tim Lambesis' bail is currently set at $3 million. His bandmates released a statement earlier this week.